One stop shopping for gorgeous coastal throw pillows. We have the entire collection of nautical velvet pillows. 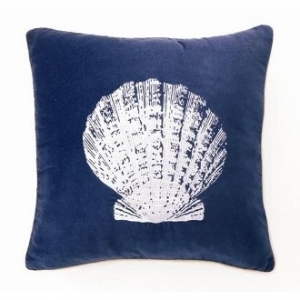 Shop from sand dollar, coral, starfish, sea shell and scallop shell velvet pillows. Scallop Shell Velvet Pillow Measures: 18" x 18"